Nothing says summer to me like a cool, refreshing Sonic slush. I’m not afraid to admit I have a serious addiction to them! I could drink 3 or more a day… but I settle for my 3-4 times a week trips. When I was pregnant with little Statham the Sonic slush was my #1 craving! My poor, sweet husband could be found at our local Sonic many a night at 10 or 11 o’clock. Seriously, they knew our car and order right when we pulled up! It was great!! This year Sonic added a flavor add-in I was a little skeptical about… Nerds candy. We got the Blue Raspberry with Nerds for Rohrl, our 2 year old, not thinking we would like it and my favorite the LemonBerry….let’s just say I’m lucky Rohrl is such a good little sharer. We (Jeremy and I) LOVED the Blue Raspberry with Nerds!! The Nerds give it a little extra sour kick and it is amazing!! I was so excited when I saw this recipe on Facebook from 30 Handmade Days I could not wait to try it out! And you know what… It was a success!!! These aren’t as thick and icy as the Sonic slushes but the flavor mix of the Nerds and the Kool-Aid Blue Raspeberry Lemonade definitely nailed it! Plus at less about $.10 a cup to make it is a whole lot more affordable!! 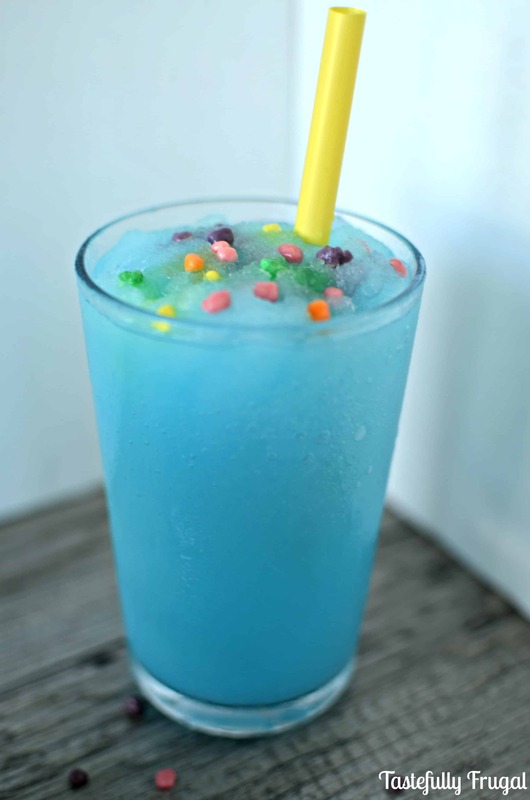 And when Rohrl wants a “blue drunky” as he calls slushes I can easily divert a tantrum and just whip one up! 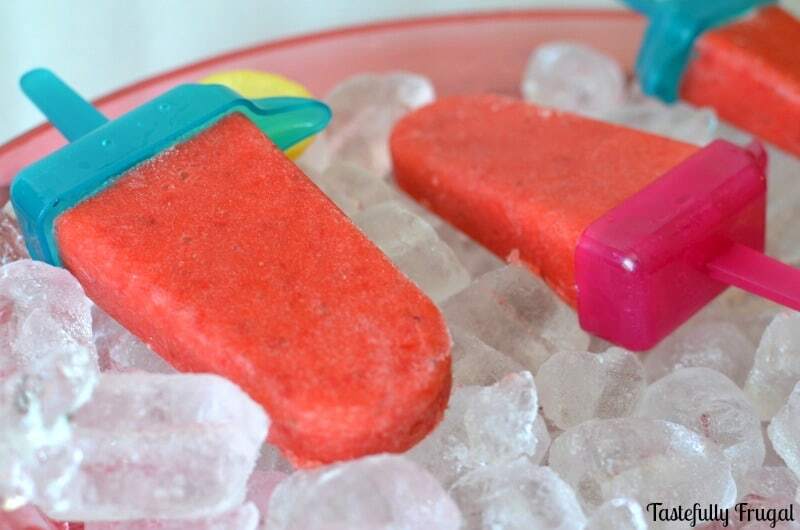 You can use any flavor Kool-Aid packet you like. So far the Blue Raspberry Lemonade has been our favorite. In blender crush ice and set aside. On puree setting mix together Kool-Aid, sugar and 1 cup soda water for about 30 seconds (or until all sugar is dissolved). Add in crushed ice and puree for about 15 more seconds. 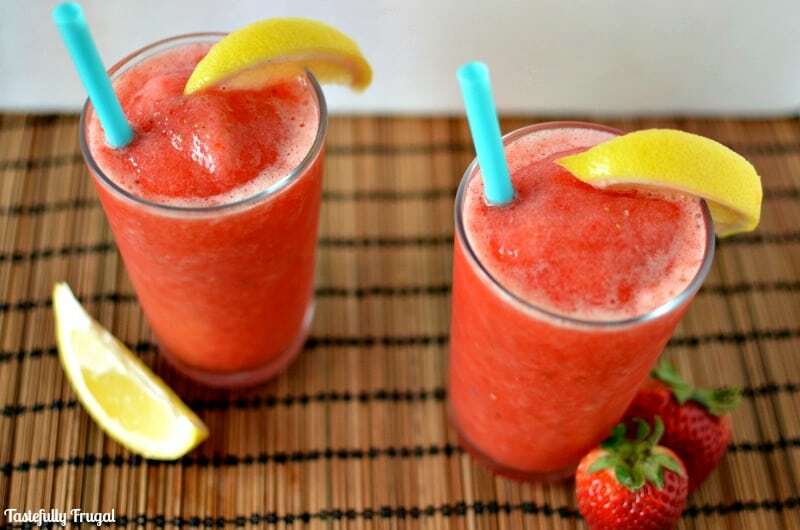 Don't puree too long or it will become more of a juice than a slush. Add second cup of soda water and puree again for about 15-20 more seconds. Pour into cups and put in freezer for 30 minutes-1 hour. *** You can skip this step for younger kids or if you are really, REALLY craving a slush. Putting it in the freezer just solidifies it a bit more. The longer it's in the more Sonic-like it becomes. 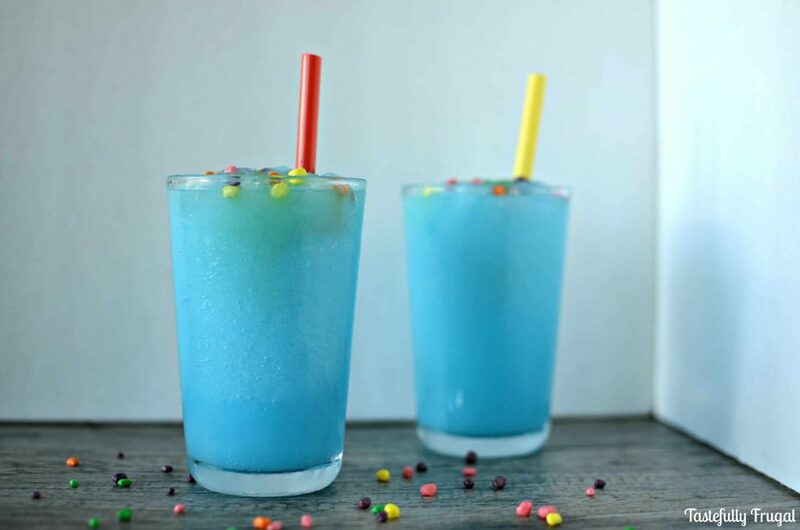 Take out of freezer and pour nerds on top. This makes about three one and a half cup servings. You can make more with smaller servings if you’d like. Bonus- When I was doing research on how to make these slushes even better I found out that Sonic uses 5 pounds of sugar per 1 gallon of water when they make slushes. FIVE POUNDS!!! So even though there is sugar in these, They are still a teensy-wheensy bit healthier than the real deal. What’s your favorite Sonic slush flavor? I’ve never been to a Sonic! But these slushies look delicious. The nerds add such a fun pop of color! Heidi you are totally missing out! Jk their food isn’t the greatest but their slushes and shakes are really good! 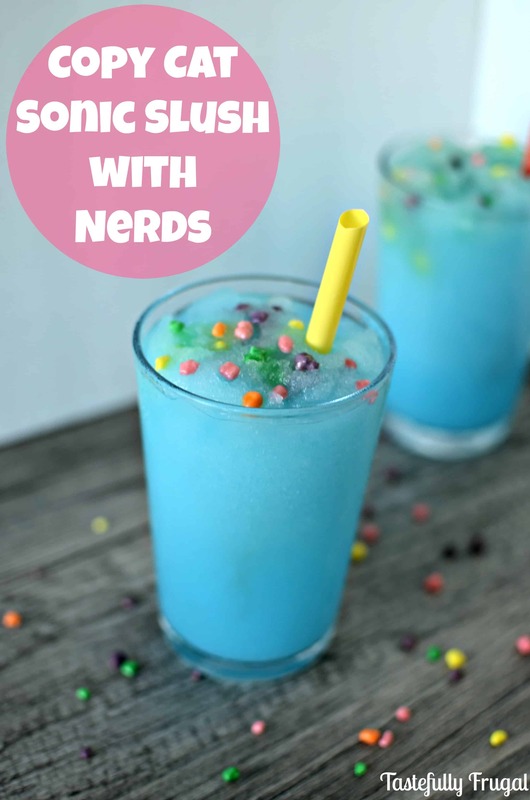 The homemade version is just as good  And the nerds give you a little surprise flavor kick too! That definitely looks like a super cool and tasty drink for kids! My kids would love this especially with all our hot weather. Holy crap that is a lot of sugar! I guess that is why they are so good. I don’t drink them often though. Nice to see this “healthier” option. We don’t have a Sonic near us, so this will be a real treat to try. Glad yours is much healthier option too. Who needs that much sugar?! Thanks for sharing. It is one of my favorites too Yvonne! What a beautiful slushy! Seriously, I love the blue color and the Nerds are a great touch. How fun to add the Nerds to the top. That would make it an instant fave with my kids. Yummy! This looks so good! Fun too! Nerds should be on everything! Sonic’s got nothing on Sloche though… there are no Sonic up here! I totally agree!! I’ve never heard of Sloche… where are they at? Really good to have in summer! My kids would love this, especially, its beautiful color and the floating nerds. These look delicious! I can’t say I’ve tried these yet but this post definitely makes me want to find the closest Sonic and get one! Thanks for sharing at Dream. Create. Inspire. Link! Hope to see you there again tomorrow! 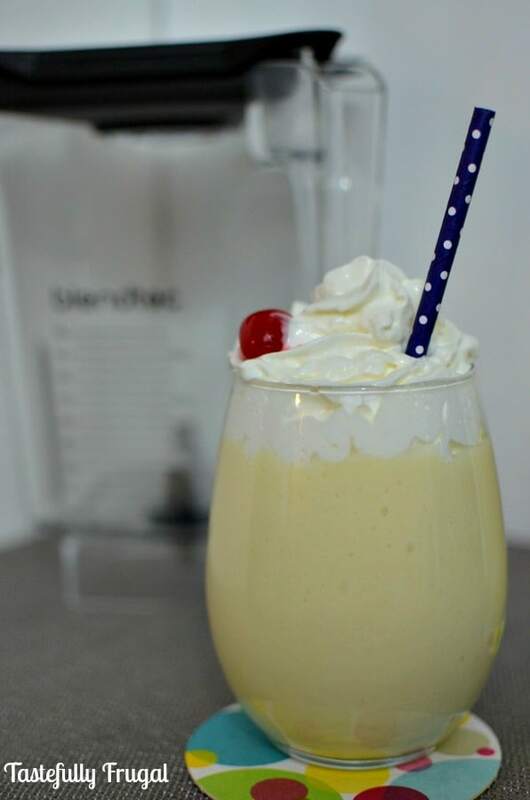 Thanks for linking up to the Tasty Tuesday last week. I’ve pinned your recipe to the Creative K Pinterest board. I hope that you come back tomorrow to link you any new recipes you might have. 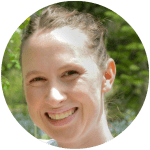 Kim @ FoodandHappinessblog recently posted…Sizzling Tips for Summer Business: Day 3 Summer Reading! Thanks girls! Love partying with you! !